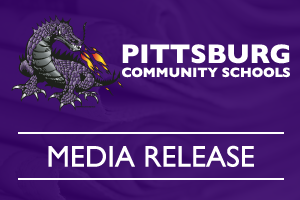 Pittsburg Community Schools will mark the first leg of bond construction to its elementary schools with a groundbreaking ceremony at George Nettels Elementary, 2012 S. Homer Street, on Monday, January 29, 2018, at 10:30 am. Construction is the result of the March 2017 Bond Election in which Pittsburg voters approved a $31 million dollar bond for renovations and construction at all District schools and the Family Resource Center. "It's rewarding to be at this point in the process," Superintendent Destry Brown said. "Even though we have done some of the bond renovations and construction in other areas of the District, we will see structures going very soon." At George Nettels, Meadowlark, and Westside Elementary Schools, there will be two classrooms added to the current school. They will feature a flexible and adaptive layout to provide for a variety of student configurations and allow instruction and learning to be adjusted as needed. In addition, these classrooms will provide safe rooms. At Lakeside Elementary, there will be the construction of a cafeteria/kitchen, which will double as a safe room. Plans are still being finalized and a groundbreaking will happen at a later date. *NOTE: Information about the groundbreaking at Lakeside will be announced when plans are finalized.